A stunning masterpiece of style, architecture and craftsmanship. With over 7,000 sq.ft. 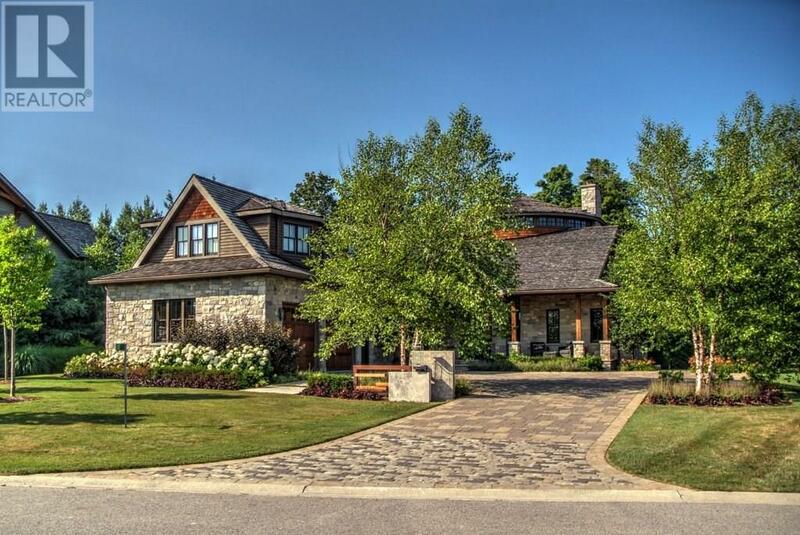 of living space, this house overlooking the 11th hole of The Georgian Bay Club was custom built to the homeowners' exquisite taste. The masterpiece is a two-storey windowed cupola which soars over the cathedral ceiling great room. The wood floors take your breath away, and even the stairs and railings which contribute to the overall feel of luxury and taste must be seen. Incredible lighting, dazzling kitchen, bar, wine cellar, gym, wrap around deck and screen porch. There is no corner that isn't perfection. A bunk room downstairs has five custom designed beds, the main floor guest suite has its own exit to the deck. Upstairs the master takes one end with beautiful views while the three other bedrooms are in their own wing. Located at the prestigious Georgian Bay Club, close to all amenities, within walking distance to Georgian Bay. Come and see what dreams are made of.